The chapter provides an account of current disputes over urban land in the city of Belo Horizonte, Brazil, in dialogue with theoretical discussions in contemporary urban studies and critical geography concerning postcolonialism, neoliberalism and the right to the city, proposing the importance of pluralist perspectives in these debates. 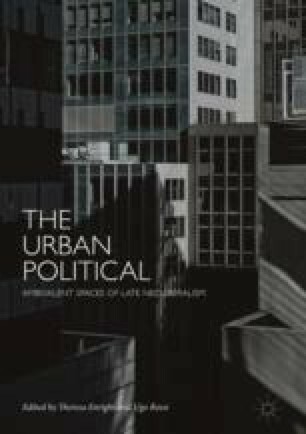 By analyzing a series of new land squats conducted and organized by new urban social movements in Belo Horizonte, the chapter addresses the insertion of these agents in the recent history of organized movements acting on planning and general urban issues. It also points to the need of trans-scalar panoramas to these processes, framing larger economic and political dynamics taking place in larger spatial scales and their connection to metropolitan Brazil today. I thank the editors for important feedback on drafts, along with Joshua Akers, Dan Cohen, Max Ritts and Trevor Wideman, who have contributed with valuable comments and critiques on previous versions of this piece.